Rev. 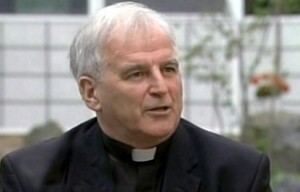 Seamus P. Finn, OMI has written a new blog on Huffington Post, called Mea Minima Culpa. “There is more than a little irony in the long list of stories about the major CEOs of banks negotiating settlements with government regulators and agreeing to fines before going to court to settle…” Read more….